The group was founded in 1978 by Andy McCluskey and Paul Humphreys. Adding Malcolm Holmes and Martin Cooper by the end of 1980, this quartet (with occasional line-up fluctuations) was the core of the outfit until 1989, when Humphreys, Cooper and Holmes all left OMD to found The Listening Pool. McCluskey then retained the OMD name and continued to record and tour as OMD with new line-ups through 1996. 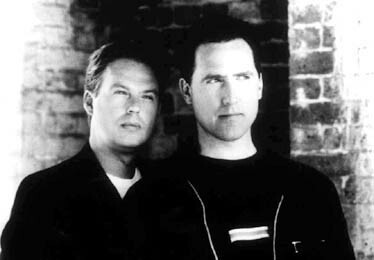 Though McCluskey essentially retired the OMD name in 1996, shortly thereafter Humphreys began playing live shows as OMD with other musicians on an as-needed basis, but without McCluskey. Then in late December, 2005, OMD's official website announced a forthcoming reformation of the 'classic' 1980s line-up (Humpheys/McCluskey/Cooper/Holmes), both for live performances and for a new studio album. This reformed quartet began touring in 2007, and further successful sold out tours took place in 2008 and 2009.